The Brew House Lofts. Image courtesy of TREK Development Group. The conversion of the old Duquesne Brewing building at 2100 Mary Street into The Brew House Lofts—with 76 residential apartments, a fitness center, and rooftop deck—is set to open this summer. 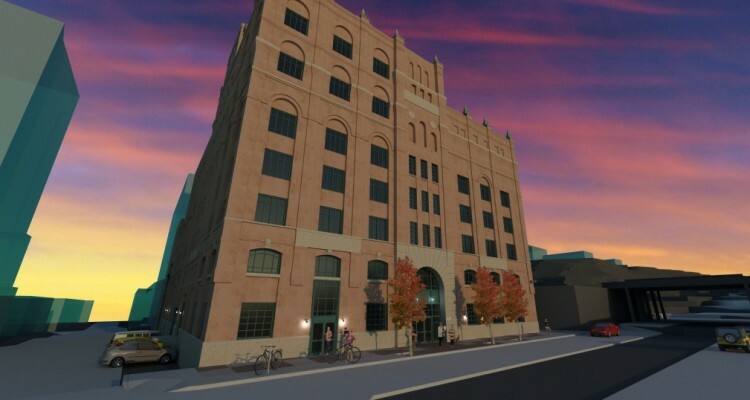 The new studio, one- and two-bedroom lofts are an industrial style and the design includes high ceilings, large windows and contemporary finishes. Brew House Association (BHA) will maintain control of 15,000 square feet of the 135,000-square-foot building. Artists have been in the building since 1982—informally as squatters and then formally after BHA was formed in 1993. 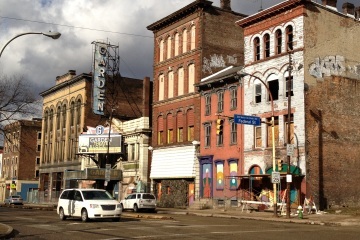 The City of Pittsburgh sold the brewery to the nonprofit in 2001. Over a 20-year period, the deterioration of the building overwhelmed BHA and the small group of artists living and working in the building. In recognition of its need to make a major investment in the property, BHA selected TREK Development Group in March 2014 to fully develop the building. Of the 76 units, 48 will be affordable—what TREK is calling workforce housing—and preference will be given to artists for those apartments. Ginocchi notes that many of those artists may also maintain studio space in the building. Rents for the workforce housing will range from $650-850 per month. Market rate units, 28 total, will rent from $900-1400. Leases will be available starting August 1, 2016. On July 1st BHA will begin building out their portion of the building, partnering with Work Pittsburgh, a Zero Six Eight company, that provides comprehensive on-the-job training for ex-offenders. The space will also feature furniture from two Pittsburgh craftspersons—former Pittsburgh Steeler John Malecki and Bones and All. “We want to have a high impact in the community and that is starting with the build-out,” says Adam Kenney, co-chair of BHA along with Heather McElwee from the Pittsburgh Glass Center. The BHA section of the building will include 2,780 square feet of gallery space that will specialize in and showcase local artists and will also be available for rent as an event space. The Distillery will take up 3,065 square feet on the second floor as a professional development program for emerging artists. Instead of subdividing the remaining 3,888 square feet of studio spaces on the second floor, BHA will leave the studio spaces as large as possible and seek more traditional small businesses such as architecture firms, graphic design agencies, arts and cultural organizations, craft businesses, and theater/dance troops. 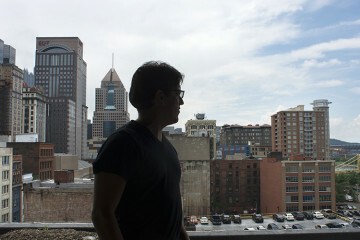 To apply for a unit, and to see more information on the artist preference component of the development visit http://brewhousepgh.com/live. For more information on the BHA, you can send them an email until their new website goes live.